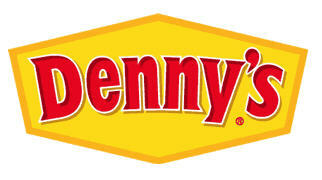 MAYBE - Denny’s in Ohio, $1.76M 6.25% cap rate. Pros: Advertised as absolute net with 13 years on term and strong store sales. Good demographics. Larger, almost 1 acre lot. Strong traffic counts of 31k. Cons: old building - 1970 Status: confirming who guarantees lease and last remodel and to what extent. PASS - 20 year NNN Salad N Go PHX $1.28M @ 6.8% cap Pros: nice long term absolute net lease. Good location. 2% annual bumps after year three. Cons: small building size of 677 sf puts sale price psf at $1,890! Also puts rent at $128 psf annually! Yikes! Also only has operator guarantees. PASS - Verizon NC - 9 years left on 11 year lease $1.74M 6.25% cap rate Pros: 9 years left with 600 unit operator. Advertised as NNN lease. New construction 2013. Good highway frontage near Wal-mart. Close to the Western Carolina University, having more than 10,000 students. Cons: high psf of $500. Negative population growth for area. Boonies of NC. Town of only 2,500 people (more in outskirts but still small). Away from main population base and highways especially for a 6.25% cap rate. Flat lease with only 5% bumps in options. $31 psf net rent which would be hard to replace. Off to a good start! However, amazing how many NNN deals look great on the surface only to find out they have major flaws.